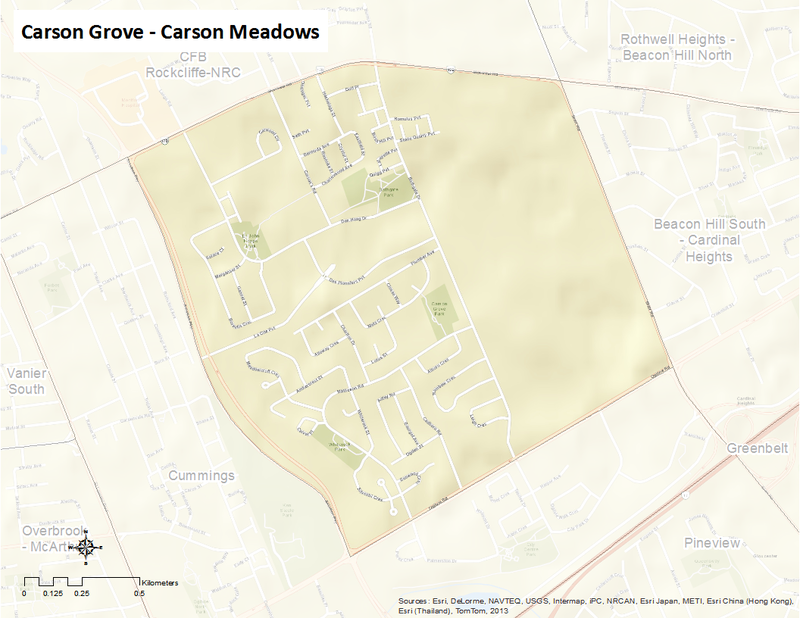 Carson Grove-Carson Meadows is bounded by Montreal Road to the north, Ogilvie Road to the south, Blair Road to the east, and Aviation Parkway to the west. Carson Grove is considered a mature neighbourhood that is mainly residential but is also home to the federal government’s tech intelligence agency, the Communications Security Establishment, at 1929 Ogilvie Rd. There s an active community association. The neighbourhood includes Carson Grove, Carson Meadows, Quarries, La Cite Collegiale and Den Haag. Here’s an infographic that describes this neighbourhood as a Village of 100 (2011 data).